Weekly and Monthly Discounts Available! Gorgeous Intracoastal home in 'Mariner Keys' with boat Dock on the Intracoastal Waterway. refrigerator w/ice, diswasher and microwave. player, televisions, Internet WiFi, cable TV, VCR, CD and grill. Jacuzzi in master bathroom. Great for family reunions. 3 private sleeping areas. The house allowed us flexible sleeping arrangements and was very spacious with a large living room, large kitchen and very pleasant back yard. Neighborhood was nice and quiet. Grocery store and restaurants are nearby. Beautiful home and great neighborhood. Great view of the inter-coastal! We really enjoyed our stay. We stayed a week. The home is walking distance from several good restaurants and Publix. 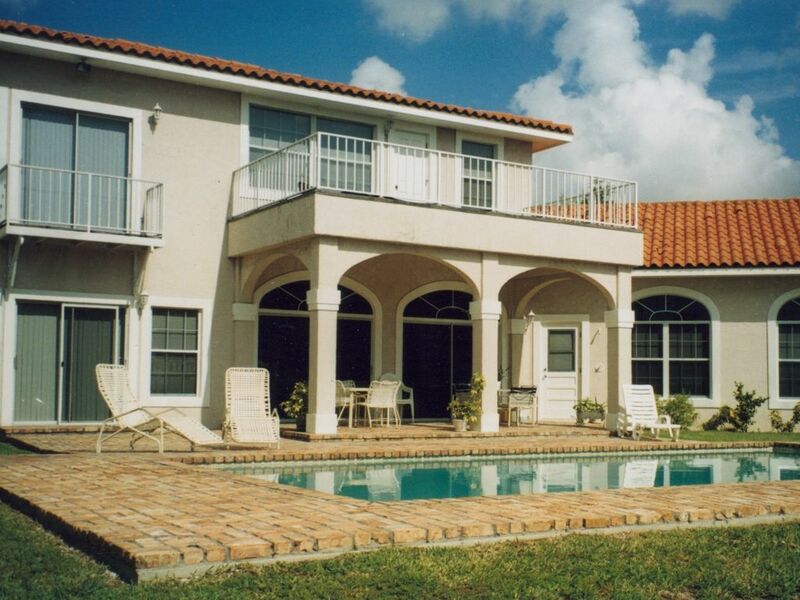 The home is spacious and has large windows with a great view of the pool and inter-coastal. We would love to come back! Thank you, Evon. swimming pool, lessons and recreation program. Saunter over to the library -- just one easy block to walk. Area is ideal for jogging, roller blading, walking or bicycling. Boat dock on Intracoastal Waterway - no fixed bridges to the Ocean. Monthly Rate: $10000 - $14000 $4900. week -- January through April additional + 13% tax. Inquire extended stay rates Rates are subject to change without notice.